Fast Removal of Your Old or Broken Fridges & Freezers. Get a Free Quote — Call Us Now! Got Old or Broken Witegoods? Fridges and freezers are a necessity in Australian homes, you’ll have trouble finding someone without a fridge, and most people have multiple separate fridges and freezers. It’s hard to imagine what life would be like without them, yet fridges were only invented around 100 years ago, with freezers coming along years later. If it is still working, a 20 year old fridge would be seen as a dinosaur to most people, and not an item they’d probably want in their house. Same-Day Rubbish Removal specialises in removing old/broken fridges, freezers and other whitegoods that are difficult to remove alone. In the 10+ years that we’ve been removing junk from Sydney homes, we’ve taken away countless fridges and freezers, yet it seems the number of old and broken down whitegoods is growing. If you’re one of the many Sydney residents who has large broken appliances or other junk that needs to be disposed of, call us now on 0402 737 046 for a free quote. There are several reasons as to why there may be more and more fridges and freezers getting dumped – waste in Australia of all types has been increasing. One main reason is the quality of the products that are being produced. Everyone likes a bargain, and if a new appliance costs less than getting your old one fixed, it wouldn’t make sense to go with the latter! Sadly, when costs are cut with the production of equipment like fridges and freezers, quality is often affected too. Another reason for the increase in whitegoods being dumped in recent years may be due to our place in the history of the refrigerator. Low cost, poor quality fridges haven’t been around too long, we may have just experienced the start of their modern short lifecycle. As great as it would be if they lasted forever, at some point we all have to deal with the removal of a broken one. People who live in the city usually prefer small cars to zip around in, large cars and trailers can be quite troublesome in Sydney traffic. 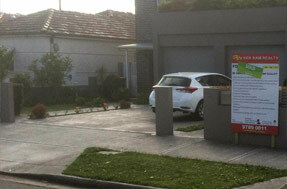 It’s rare for homes to have a ute or trailer that can easily move large objects like a fridge. It makes sense that disposing of such an item yourself should be the cheapest way to do it, even if you have to hire a trailer. However, Same-Day Rubbish Removal have been able to optimise their service so that it is usually cheaper and always much, much easier than removing junk yourself. Save your money, time and worries and call us today! If disposed of incorrectly, fridges can be of serious harm to the environment. Plastic bags are causing huge harm to the environment, we can only imagine what would happen if fridges were dumped in the ocean! 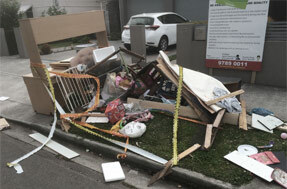 At Same-Day Rubbish Removal we do everything we can to dispose of your rubbish responsibly, whenever we can we will make sure your junk is recycled. A problem that isn’t so widely recognised in Australia is food waste, and in many cases we could put some blame on fridges. Many households have huge fridges full of products, many of these products will sit there until they are too old to be consumed and get thrown out. Having a smaller fridge could help solve this problem as people would be more aware of what is using up the precious space. Maybe this is something to think about when you go shopping for a new one. 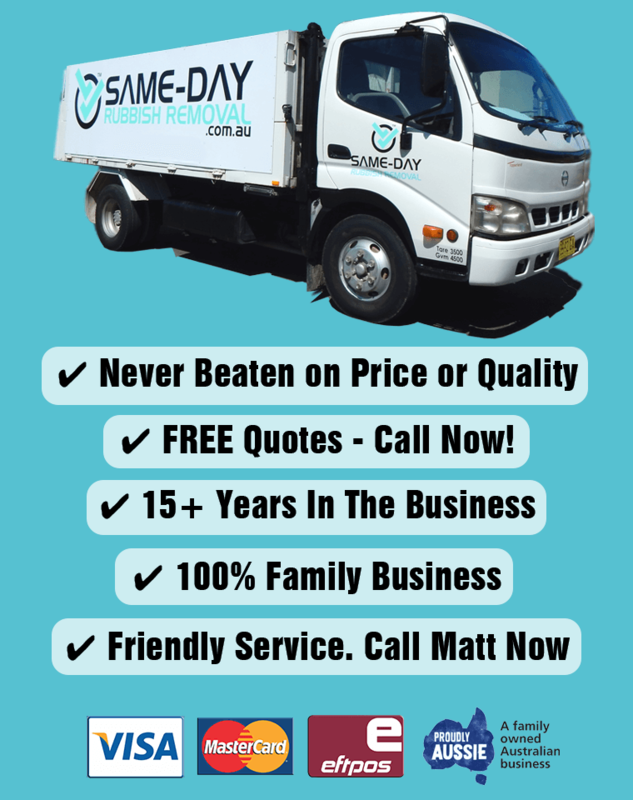 If you’re ready remove your old/broken fridge/freezer, lounges/couches, or other large furniture, call Same-Day Rubbish Removal now on 0402 737 046. Most people struggle to believe how many fridges we collect for disposal. If you think about the last time you disposed of your fridge, and how long you think it will last, probably 10-15 years, and divide the number of households in Sydney by that (almost 2 million), you can work out that there are easily over 100,000 fridges disposed of each year in Sydney! 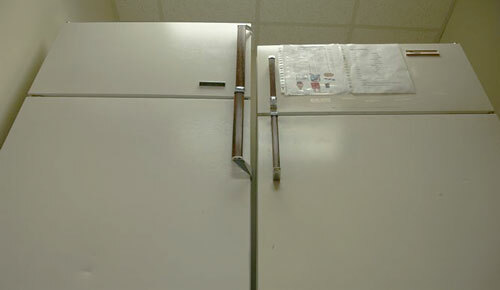 With a huge refrigerator turnover like that, it is no wonder there are so many different manufacturers out there. We can’t recommend any fridge over another, we see that they all break down at some point, but some of the more popular makes include: Kelvinator, Fisher & Paykel, Haier, Hisense, LG, Samsung, Westinghouse, Bosch, Electrolux, Whirlpool, and more! Despite these brands having different features and styles when you first buy them, they all end up looking much the same when they’re in the back of our truck! It’s also surprising how many different types of fridges there are. Standard upright fridges, side by side fridges, French door fridges, top/bottom mount fridge, bar fridges, mini bar fridges, integrated refrigerators, portable fridges, and more. They come in a range of finishes, but mostly white or stainless steel. We’ve even seen some homes with walk in fridges, or commercial glass door refrigerators – if you want to dispose of a walk in one, it may be a bit of work for us, but we’re up for the challenge! Whatever type or size of fridge or freezer you need to dispose of, it will be no trouble for our team, so give us a call now on 0402 737 046.